Reading my own words on this blog I realized that I had not been as serious with my skin care routine as I usually am. I also realized that my skin was probably reacting badly to one or several skin care products I was using. In order to find out which product was causing those breakouts I had to investigate them one by one which takes time. As off today I am still not 100% sure about which product(s) is irritating my skin so I am continuing my investigations but in the meanwhile I have been using my favorite products to fight blemishes in order to minimize the damages to my skin. My skin looks and feels so much better. I still get some random blemishes and the previous pimples left new dark spots but the full recovery is close. Where did I find those great products? Well I am a blogger and a skin care junkie so over the years I have been using a tone of products; which means I just had to open my cabinet and do an inventory of my own products in order to pick “la crème de la crème”. This is a chemical exfoliant in form of a mask and a manual scrub which I currently love to use as a mask only when I already have blemishes that way my blemishes won’t be damaged by the action of manual scrubbing. You can read my full review HERE. Although exfoliating and scrubbing are great for skin and my skin loves it; there is only so much your skin can take. So on days my skin needs to rest I apply a good layer of aloe vera gel on my face because it has healing, anti-inflammatory, antiseptic, hydrating and softening properties. With those products I am slowly but surely getting my skin back to normal. 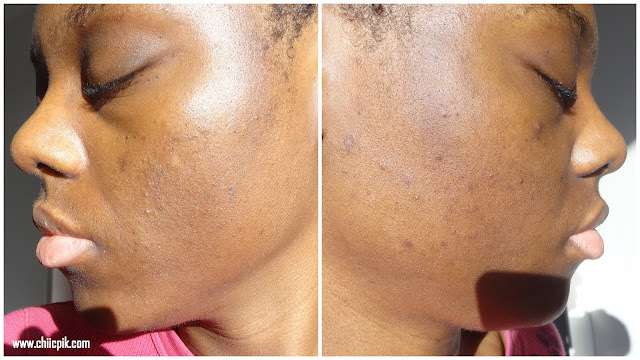 So I will update you on that and the next step will be to work on the dark spots that those recent blemishes are leaving on my skin. I hope this post is be helpful for you. Most pimples are found ordinarily on the face, Amy Adams Skin Cream neck, back, chest and shoulders yet they can show up actually anyplace. Excellent article on dark sport removal. I found something interesting about Acne treatment. In any case,official website finding these quality anti wrinkle skin creams can be troublesome on the off chance that you don't have the foggiest idea what you are searching for in one.